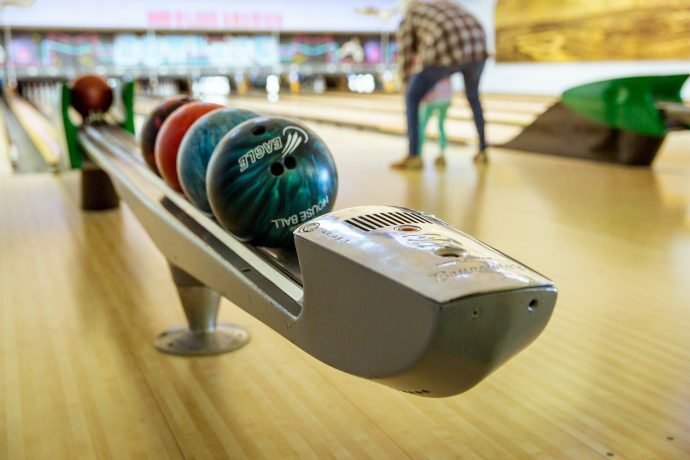 If you are visiting Myrtle Beach during the cooler months, need to take a break from the sun on a hot day, or need to find something fun to do indoors on a rainy day, bowling is a great option. Luckily, Myrtle Beach has several different bowling alleys. Spend the day knocking down pins and eating snacks. Here are three places to enjoy bowling with your family during your beach vacation. Myrtle Beach Bowl is located on Grey Drive and is open seven days a week. They offer affordable prices and lanes. When you aren’t throwing your ball down the lane, head on over the to arcade and play some games. It’s a fun, family atmosphere where you can relax and even get a little competitive. 710 Bowling is a bowling alley, restaurant, bar, and arcade all in one. You can bring the family and spend the entire day. Play some billiards or bocce bar while you wait to be seated for your meal or call ahead and make reservations. 710 Bowling has standard lanes and 6 boutique lanes with XTreme LED lighting. Be sure to get there early, the lanes fill up quickly. 810 Bowling will open two locations in Spring 2018. One will be in Myrtle Beach and one will be in Conway. You will be able to play billiard and bowl at both locations. The Market Common location will be closest to Myrtle Beach hotels and area attractions. 810 Bowling is just one of many new attractions opening this year.